"Maral" is about is a young and hopeful girl who works as a waitress in a restaurant. She dreams about two things in life: the first is becoming the manager of Luna, and the other is Sarp - the young and rebellious chocolate chef that also works at the restaurant. Her dreams always seem to be far away, but one day she suddenly finds herself in charge of Luna. 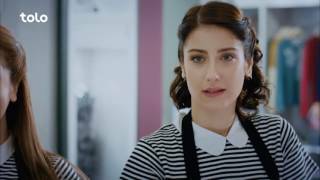 Not long after she reveals her feelings for Sarp and then is forced to choose between love and her career.